Produced by high elastic PU foam material, this PU Kitchen/Bedroom/Door Mat will be favored by housewife when they stand on it. Happy wife, happy life. This mat is available in many design, and you can pick up your own design. ♦PU material provides luxurious comfort while you cook, work or clean. ♦The foam design fights fatigue with superior cushioning, reduces spinal compression and increases circulation. ♦The foam design is impact resistant, abrasion resistant and will not deform under impact. ♦Resilient inner core, non-skid bottom, beveled edges for added safety when you step on or walk across. Our company was established in 2000 and has been producing PVC and PU forming products for more than 17 years. It was founded with RMB200 million and covers an area of 50,000 sq.m. There are about 400 employees in our company and the annual turnover is about RMB200 million. Our main market is Europe, America, South Africa and Japan. We are the supplier of lots of supermarkets such as Wal-mart, K-mart, Target, Lidl and Lotte mart. Looking for ideal 100% PU Material Kitchen Mat Manufacturer & supplier ? We have a wide selection at great prices to help you get creative. All the 100% PU Material Bedroom Mat are quality guaranteed. We are China Origin Factory of Pu Floor Mat. If you have any question, please feel free to contact us. 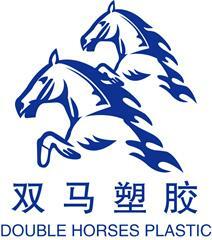 Copyright © 2019 Liyang Double Horse Plastic Co.,Ltd All rights reserved.